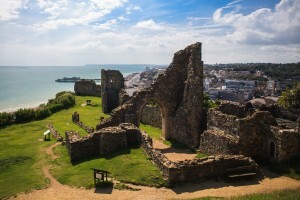 Hastings is just one of the many towns and villages that are seeing a surge in interest for hog roast as the catering food of choice at events and special occasions. It seems that people have grown a little tired of the usual catering suspects that have blighted event catering for years so hog roast is now back on the scene with a vengeance. The hog roast hire Hastings caterer is now one of the most in demand people in the town with more and more people choosing hog roast as the food for their special occasion. So why is hog roast proving such a popular choice once more? It’s quite simple when you think about it. Hog roast is probably the best quality catering meal you can get, yet it is also one of the very best value options, too. Seems strange, doesn’t it, but it’s true! In the hog roast hire Hastings caterer, you have a truly dedicated cooking professional who is capable of providing you and your guests with some of the best tasting meat you will ever taste. A hog roast Hastings event means big food and big flavours. Really big. Big food means servings for a lot of people but just how many? Well, if you were thinking of inviting say thirty, forty or fifty guests, you would be more than fine. What about sixty or seventy? This is turning into quite an event, but you will still be fine. In fact, a standard hog roast is going to keep over one hundred of your guests very happily fed with some of the best tasting pork in East Sussex. That’s a lot of meat and that means it’s a bargain. It may be a bargain but there are no corners being cut whatsoever with your hog roast. As mentioned, you are dealing with a professional here and this approach extends to selecting the meat, too. Many people make the mistake of going for cheap joints of meat when catering, but that is a totally false economy. Poor quality meat tastes just that; poor. If you are going to the effort of arranging a special occasion then shouldn’t the food taste fantastic? 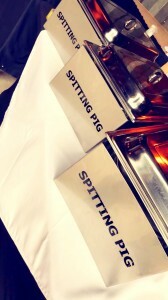 We think so and this is why the caterer chooses a great quality whole pig for every single hog roast event. No cheap meat, no second best, just prime quality meat from a reputable and local supplier. It really does make a difference. There is nothing better than waiting for the food at a special occasion to be served and Hastings hog roast events are no different, in fact these are even better, because your guests will have had the pleasure of watching the hog roast being cooked by the chef. They will also have had to endure the agony of the incredible aromas produced by the hog roast. Hog roast really does smell quite fantastic and once you have taken in those great aromas, it becomes increasingly difficult to wait any longer for your meal! I should point out that hog roast is a slowly roasted meal and in fact takes around six hours to cook perfectly. 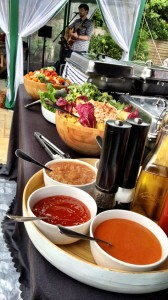 Fortunately for you and your guests, much of this cooking takes place just before your event. It seems strange to talk about a meal that exhibits the sheer quality of hog roast as a bargain but, in the greater scheme of things, that’s pretty much what it is. A chef cooked meal that uses quality ingredients and takes six hours to cook. Grab yourself a catering bargain by making your event a Hastings hog roast event. It seems almost impossible to talk about the town of Hastings without mentioning that event that took place in 1066, though somewhat surprisingly, the battle actually took place a few miles down the road, not in Hastings itself! But there is of course a lot more to this East Sussex town than just stories of historical battles. Hastings is actually a big town with a population of around eightyseven thousand people with lots to see and lots of outstanding natural beauty in the area to enjoy. With a town of Hastings’ size there is always going to be an event or special occasion of one sort or another taking place. Maybe a sports dinner, a fundraising function for a charity, a birthdays, anniversaries…you name it. But there is something relatively new happening at events like these and it is a very welcome change indeed. It is the return of the hog roast Hastings event.